Wow, so we don't have to think about SXSW again for another 8-9 months. Feels good doesn't it? I feel like each year I get a little better at the SXSW experience and each year I come up with ways to make my experience better for the following year. This was the first year that I had an official wristband, which was very exciting. That put me third on the totem pole to get into showcases, behind express passes and badges but AHEAD of people paying cash at the door. It was due to the luxury of my official status that I learned a lesson for next year. Basically, every year before has been about the day-party for me and/or the free evening showcases so it was hard to break that habit. What I learned was it's really hard to do day parties followed by evening showcases, I was all tuckered out y'all. So, my plan for next year is do less unofficial stuff and more official stuff. I'm going to be a have, not a have-not. My other reasoning for this logic is going to be controversial, I know, especially since I've been a have-not for so many years previous but I'm just going to put it out there. The more unofficial stuff we do, the more platinum selling artists will team-up with gigantic, multi-national corporations to hijack the hype from SXSW proper. I'm not saying there is no place for the day-parties and such but when all anyone can talk about is Kanye Muthaphuckin West's ridiculous midnight to four am "party" at the power plant then we have a problem. It's hard to not get swept up in the hype of big names and celebrities at SXSW, I'm guilty of it too but there has to be a point where we say enough is enough. 2011 is the year that platinum-selling hip-hop artists took over and I for one do NOT approve. Do Puff Daddy, Jay-Z, Snoop Dogg, Kanye West, Big Boi etc. need the exposure from SXSW or are they just cashing in FAT pay checks to vaguely align themselves with an indie-spirit of, what was once, an indie-music festival? People can hate on Pitchfork all they want but they put together a fantastic showcase at Central Presbyterian Church Thursday night. I arrived about 90 minutes before doors opened as I knew it would be a popular showcase and I wanted to be sure to gain entry. Some people were skeptical I would even get in with a mere wristband but I assure you I made it no problem and so did everyone lined up early in the cash line. I feel like anyone can get into any showcase if they arrive early enough. However, if you're paying cash it's a real crap-shoot as to how much you'll have to pay. For the Pitchfork showcase it cost the cash people $30 to get in, whereas the previous night's showcase at the same venue was merely $10 and lots of the smaller showcases cost only $5. In any case, whilst waiting in line I liked that the church had porta-johns outside that we could use, I was less enthused once inside to realize those were the only available bathrooms. They let us all in, then said oh hey just so you know the bathroom is outside and once you leave you have to get back in line. So, I spent the rest of the showcase parched for fear of the need to pee if I consumed water. The acoustics in the church were amazing and the atmosphere lends itself to a quiet, respectful audience. There is no alcohol so there are no drunk people chatting and ordering Lone Stars and, obviously, there was nothing smoked in there. It was also quite nice to have seats after spending all day standing around at day-parties. I had heard of all of the artists but the only one I had seen before was Twin Shadow, whom I have seen twice and liked on both occasions. Unfortunately at the show Twin Shadow had the misfortune of following the one-two punch that was Glasser followed by tUnE-yArDs. I have been a fan of the Glasser album since late last year. It ALMOST made my top albums list but I just hadn't heard it enough for it to rank but seeing the songs performed live with the acoustics of the church was jaw-droppingly, awe-inspiringly, out-of-this-world gorgeousness. It was, without a doubt, my favorite 40 minutes of SXSW 2011. The second song of the set earned the band a standing ovation. I know at a club show every song gets a standing ovation but in a church, with everyone seated in pews it is quite dramatic to see the entire crowd leap up cheering and clapping. Even just writing about it gives me goosebumps. After Glasser's set I was just thinking, "Wow! What could possibly top that?" Then tUnE-yArDs came out and played one of the most wildly inventive sets of music I've ever seen. I wouldn't say it topped Glasser's merely because Glasser was SO dramatic but I would compare to my first time seeing Dirty Projectors. The songs were constructed in front of the crowd using vocals, samples, loops and live instrumentation. It all would have seemed really corny and gimicky if the singer didn't have a voice blessed by God. She yodels, she yells, she sounds like the opening song from The Lion King and somehow it all works. It was ridiculously fun and energetic and made me want to hunt down the CD as soon as possible. In other words it was exactly what you want in a SXSW showcase. After those performances, Twin Shadow just seemed so ordinary. Also, the church setting was not ideal for their brand of John Hughes movie synthesized dance-rock. James Blake followed Twin Shadow and delivered a beautiful set of music that managed to stay true to the album while also giving it an interesting live twist. He was accompanied by two musicians including a live drummer using v-drums who was excellent. There's also a slew of bands I would have liked to have seen but didn't so I'll have to catch them on their new trip through Austin! 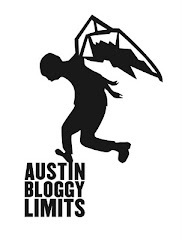 For those of you who have been reading this site because you were coming to SXSW thank you but thank you MORE to those of you reading this and every other post I publish. With that, I don't want to talk about SXSW anymore and if you ask me in real life about it imma refer you to this post.